The warring parties in Libya have been called on to immediately halt all attacks on, and intrusions into, medical facilities in the town of Sirte by the international medical humanitarian organisation Médecins Sans Frontières MSF (Doctors Without Borders) today. All wounded patients must have access to care and must be able to receive treatment without discrimination and fear of reprisal. Ibn Sina Hospital in Sirte has borne much of the brunt of the fighting that has raged. Last week, MSF teams based in Misrata were able to travel to Sirte and observe the damage at the hospital. 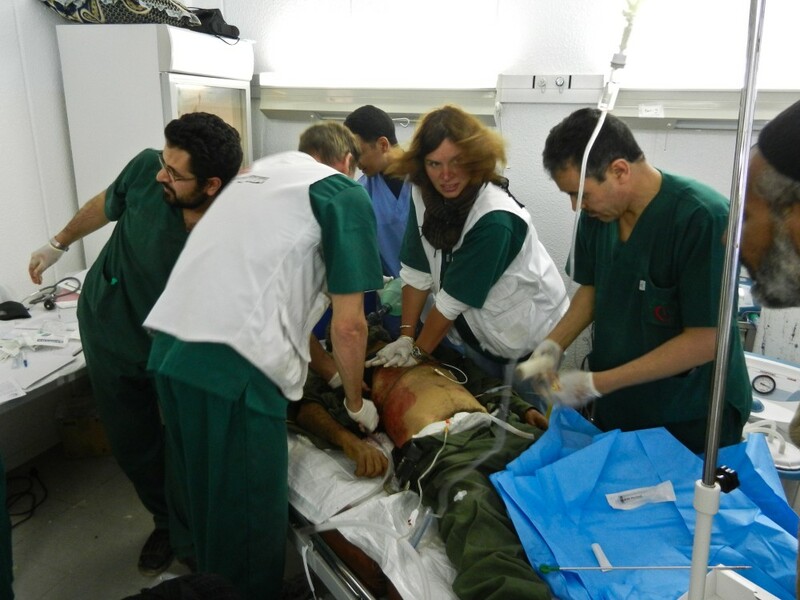 "Ibn Sina Hospital came under fire and was attacked," said Barbara Frederick, MSF emergency coordinator. "An explosion destroyed an operating room and most of the windows were damaged. As a result of the fighting over the last few weeks, patients had to be moved into the hallways." Security was not ensured at the hospital. "Last week, there were many fighters coming in and out of the hospital with their weapons, checking the patients," said Frederick. "We don't know who they were looking for." After assessing the needs at Ibn Sina, MSF provided surgical supplies, organised the resumption of surgery in the hospital's two refurbished operating rooms and delivered 150,000 litres of water. The hospital, which had been without water and electricity, is now fully functional once again. Libyan medical officers have arrived to assist, making it possible to resume surgical services. Security, however, remains critical to ensuring that all wounded patients have access to care, regardless of which 'side' they belong to, as stipulated by international humanitarian law, said MSF. Most of population of Sirte has fled the city, which now resembles a ghost town. Some civilians are still unable to leave, however, because of fighting in northern areas. MSF is calling on the warring parties to ensure that civilians have access to care, and to respect the security and integrity of the wounded people inside medical facilities.